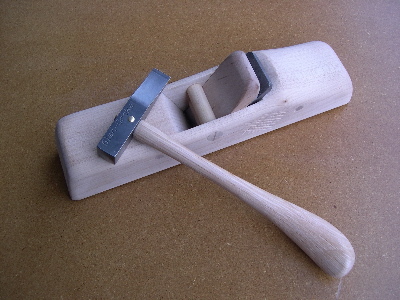 The number #2 Plane Hammer is your best choice for smoothers and jack sized planes. If you own all of the Plane Hammers, the #2 will be the one you reach for most often. It also makes a great general purpose shop hammer. It's hardened head makes it ideal for starting and driving small brads, dowels, and wooden nails.